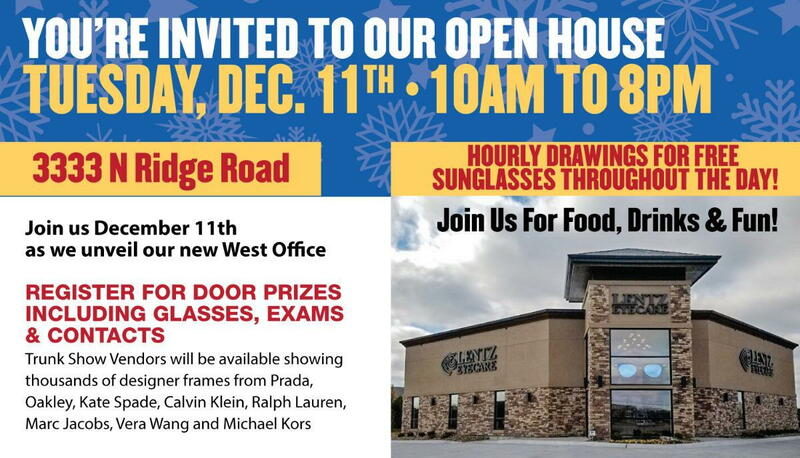 You’re Invited To Our Open House, Tuesday, Dec. 11th from 10am to 8pm! Join us for food, drinks & fun as we unveil our new West Office! Register for door prizes including: glasses, exams & contacts. Hourly drawings for free sunglasses throughout the day! Trunk Show Vendors will be available showing thousands of designer frames from Prada, Oakley, Kate Spade, Calvin Klein, Ralph Lauren,Marc Jacobs, Vera Wang and Michael Kors.